Happy June! When the weather gets warmer, we deal with all kinds of bugs. Pretty ladybugs, sparkling fireflies, pesky flies, and more nefarious ones like ticks and mosquitoes. We have a huge tick population in the Northeast, and there are a few tricks to avoid getting bitten. The most important thing is to be aware of them! After being outside, do a quick body scan and check the hot spots – armpits, heads and the crease in your legs. If there’s a tick on you, place a drop of peppermint oil on it. This will cause them to disengage. Mosquitoes are one of the most annoying insects on those warm nights we want to spend outside. Despite their heightened interest in Blood Type A individuals, they can be problematic for all blood types. 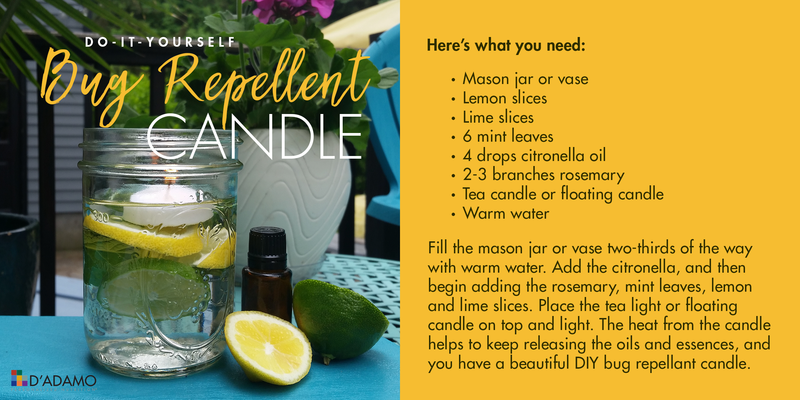 I recently saw a great do-it-yourself bug repellent candle that not only does its job but also looks beautiful doing it! Bugs that fly around us aren’t the only ones we are talking about this month; our gut is teeming with bacteria. Every day we are reading more and more about the microbiome and the importance of a healthy digestive tract. For over 35 years, I’ve heard Peter lecture about how true health begins in the gut. So to celebrate our healthy gut or to lead us to increased health, we’ve focused this newsletter on how to take better care of your gut and heal your digestive tract. The first key, you guessed it, is to Eat Right 4 Your Type! There’s a tremendous amount of personalization in our gut bacteria that benefits from a similarly personalized diet. Second, supplement with probiotics and intestinal health formulas that are designed specifically for you. Third, and less scientifically, laugh fully and deeply and breathe into your belly. Get the energy flowing as you are healing and supporting your body. Whether you’re dealing with bugs inside or out, we’ve got you covered for June. A healthy gut is one of the foundations to strong overall health and longevity. Though people are finally beginning to understand this fact, most are still unaware of how to attain it. This is mostly because having a healthy gut is all about treating it holistically. There is a whole ecosystem called the microbiome in your gut and each part of it needs tending to. Simply popping probiotics won’t correct all the intricate mechanisms of your gut. The two main variables involved with having perfect gut health are your fiber intake and the amount of short chain fatty acids in your gut. If you maintain a proper diet and supplementation regimen, you will be able to keep both of these things in check, thus allowing your internal ecosystem to thrive and be in a position to truly benefit from probiotics for peak gut health. It’s no secret that your diet is one of the biggest factors in keeping you healthy. What you put into your gut clearly will affect how it functions, but there are certain elements to foods that are more important than others. Two of the most important are fiber and butyrate. The two, as you’ll see, are tied together inseparably in how they function. Fiber has the reputation of being beneficial to the body because of its “scrubbing” effect on the gut. Even though this is helpful, it pales in comparison to the most underrated positive thing fiber can do for you: create butyric acid. 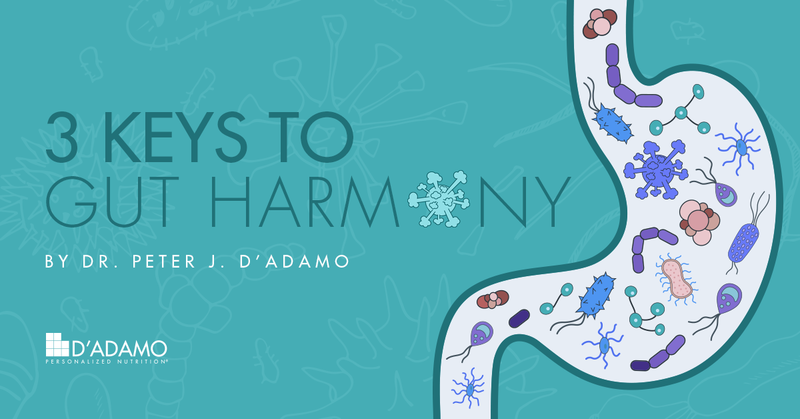 It is part of a symbiotic cycle that serves to keep the gut healthy. Fiber creates butyric acid that bacteria in your gut turn into butyrate, a salt which nourishes the colon cells and produce other factors that encourage the balance of beneficial flora. Knock out one part of the cycle and the whole thing stops working. We all know what fiber is and the role it plays but what exactly is the butyric acid it creates and its overwhelming importance? Although most health consumers are aware of the benefits of so-called essential fatty acids (EFAs) and the conditionally essential fatty acids (such as the omega-3s), few are aware of the tremendous importance of short chain fatty acids (SCFAs). Unlike the EFAs which are long chains of over twenty hydrocarbons, SCFAs are much smaller, often only having three or four hydrocarbons. Because of their small size SCFAs are easily made by bacteria as byproducts of fermentation in their life process. The two principal SCFAs with biological activity are propionic acid and butyric acid. Propionic acid (PA) is commonly found on the skin, where it can be produced by bacteria. PA inhibits the growth of mold and some bacteria and is a common preservative for both animal feed and food for human consumption. The other SCFA is the aforementioned butyric acid. Named after butter, the substance it was first discovered in, butyric acid is something mammals have a long-running relationship with. It has been in our gut for so long that the lining of our colon has evolved to use it as its primary source of energy. Without butyrate for energy, our colon cells undergo a self-destruction cycle and eventually die. With butyrate, the colon cells can grow and develop normally, better control the permeability of the gut, and regulate inflammation. Butyrate also effects gene regulation and may play an important role in sugar regulation. Butyrate can be a tricky thing to include in your diet though. As we mentioned, dietary fiber is one source of this important chemical. While none exists in the fiber itself, the chemical reaction within your gut when breaking down the fiber produces butyric acid through the process. Butyrate does exist in foods independently as well. Butter, its namesake, contains 3-4%. The healthiest way to consume butter is by turning it into ghee, a process that clarifies it and removes the milk solids. This is one of the most natural ways to consume butyrate. It’s also found in some of the most pungent cheeses, such as parmesan. Although butyrate is available in supplement form, its use is not widespread and consumer awareness of their great health benefits is quite low. In many situations, dietary sources will not be sufficient to correct an imbalance, but are often adequate to help maintain a healthy ecosystem. If you plan to use a butyrate supplement, it may be helpful to know that I have developed one for use in my clinical practice that is also available for retail purchase. It is called Intrinsa and includes the synergistic factors caprylic acid and larch arabinogalactan. Caprylic acid is a naturally occurring fatty acid that helps yeast overgrowth, while the larch arabinogalactan serves as a source of soluble fiber. Intrinsa works especially well when combined with the blood type specific diets and a blood type specific probiotic. By putting together a good diet rich in fibers, probiotics specific to your blood type and the proper amount of butyrate, your gut will have all it needs to naturally balance. Just as a garden needs the soil, the seeds and the weather to all harmonize, your gut needs these elements to work together. The human body is an amazing thing, capable of running these complex internal reactions to maintain health. Treat your body right and give it the ingredients it needs to keep this symbiotic cycle running strong for years to come. Our main article this month was all about gut health and all the different elements that go into ensuring your digestive systems run properly. We mentioned how supplementation in the form of prebiotics and probiotics can, along with a healthy diet, make your microbiome healthy. Our first featured product this month is Polyflora, which includes both prebiotics and probiotics. Probiotics are acid bacteria organisms and cultured food products that support healthy intestinal balance. Prebiotics are nutrients that help support growth of healthy intestinal flora. Together, they create harmony! 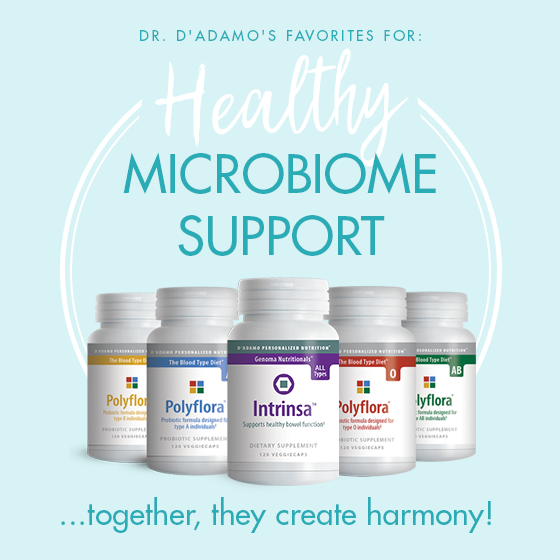 The best part about Polyflora is there is a different blend for each blood type [ O, A, B, AB ] that takes into account which foods react the most positively with your unique digestive system. Polyflora can regulate your microbiome and balance out taxing times on your intestinal track. In the same spirit of microbiome health, our other featured product for June is Intrinsa. It includes one of the most vital aspects of gut health balance: the Butyric Acid we spoke about at length in the main article! It also includes Caprylic Acid, another beneficial fatty acid that exists naturally in the gut and Larch Arabinogalactan, a soluble fiber ingredient that your body can break down into more short chain fatty acids that can’t be individually included in the supplement. With Intrinsa, which is Right 4 All Types, you can alleviate occasional digestive discomfort and support general good intestine and bowel health! By combining these two supplements with a diet Right 4 Your Blood Type that includes a good amount of fiber and butyrate, your gut will be happier and healthier! 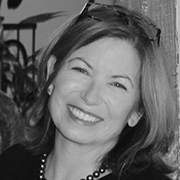 I started the Blood Type Diet in 2000 while attending Massage Therapy School. I attended a presentation about the Blood Type Diet, and the speaker informed us that by following this diet she had cured her stomach issues. When I began researching the Blood Type Diet, I found many similarities between the recommendations and restrictions, and how I felt after eating certain foods. 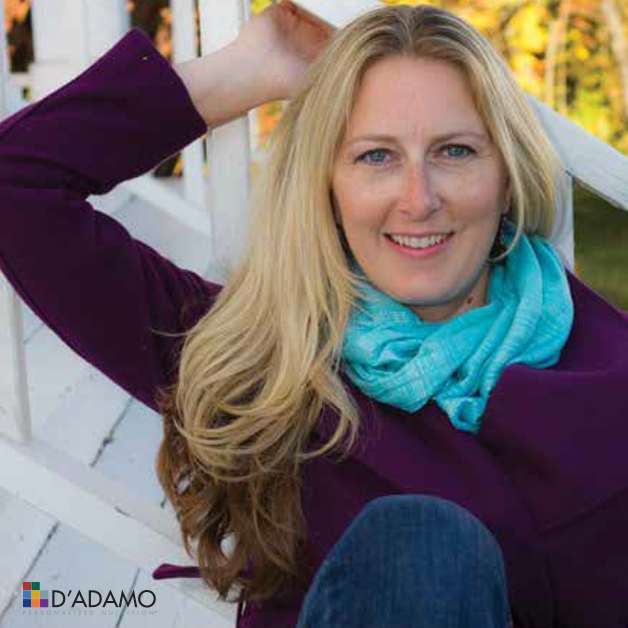 I knew my blood type from my first pregnancy, the “wrong” foods made me feel tired and achy, and the “good” foods gave me energy and strength. Unlike many diet trends at the time, the Blood Type Diet had immediate results, and was based on proven research and facts. I now have been on the Blood Type Diet for almost 15 years, and have maintained a very healthy weight and feel great. I have had two more fabulous pregnancies in my late thirties, and I have more energy now than I did 20 years ago. My blood pressure, cholesterol levels, and overall health are fantastic. I have a very strong immune system, and rarely, if ever, get the flu even when caring for my family when they all have had it. Some challenges I initially had with the Blood Type Diet were finding alternatives to favorite foods I should avoid, but I was able to eventually replace these with new foods that were right for my blood type. Dr. D’Adamo’s website recipes have also been very helpful in finding new favorites. My number one tip in following this diet is to take baby steps. It took me years to get where I am today by switching things out slowly. Just by avoiding one specific “trigger” food can make a major difference for some people. Blood type is the hidden key to the right diet. Once you learn about all the blood types, it makes so much sense. I hear so many people say they couldn’t do it, but food is medicine, and you are what you eat! No drug will do what a healthy diet can! BBC Health highlighted something Dr. D’Adamo has been talking about for decades: the impact of Blood Type on heart-attack risk. The Third Floor restaurant in Bangkok now offers a menu complete with Blood Type specific dishes! May 15, 2017 - Alex Trebek asks what the “Type” in Eat Right 4 Your Type was referencing. Even though the 3 contestants didn’t know, we have a feeling many of you were shouting the answer at your televisions this past month! Preheat your oven to 338°F. In a large bowl, break eggs and add agave syrup and vanilla. Mix with an electric whisk for at least 10 minutes until the eggs froth and double in volume. Be patient and make sure the mixture becomes light and opaque as this will ensure a successful cake. Add the rice milk and mix well. Add the rice and almond flours and mix for an additional minute until all ingredients are well combined in the batter. Grease a non-stick round 7 inch pan with clarified butter or spray. Pour the batter in and bake for 35 minutes, or until a toothpick comes out clean.